Spoiler Alert: New exclusive "Funko Pop!" Bobble Head toy revealed and available for pre-order on eBay! by Ben | Jul 18, 2016 | Interviews, Toy News! Spoiler Alert: New exclusive “Funko Pop!” Bobble Head toy revealed and available for pre-order on eBay! Spoiler alert Star Wars fans! 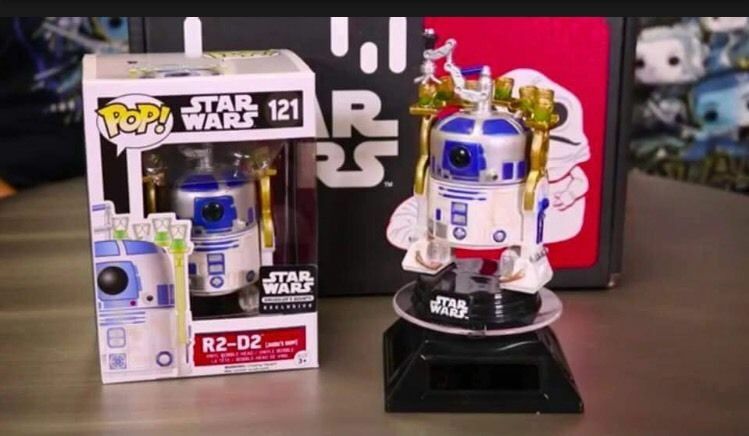 Looks like a brand new exclusive “Funko Pop!” (Smugglers Bounty Jabba’s Palace) bobble head toy of R2-D2 is available for pre-order on eBay (tip of the hat to Jeditemplearchives.com)! This new bobble head toy costs $40 and shipping is free. Exclusive: How the Sphero BB-8 toy helped inspire the movie BB-8 robot! 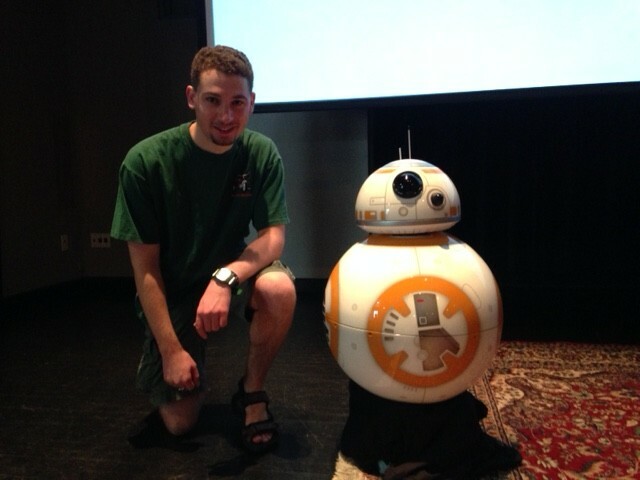 Sphero founder Paul Berberian gave a fantastic talk today in Boulder as part of the Boulder Start-up Week. Berberian revealed some fascinating behind-the-scenes details about how the Sphero BB-8 toy came to be! Most people know that Sphero was part of an “accelerator” program with Disney. Disney was helping Sphero develop its products in exchange for an stake in the company. 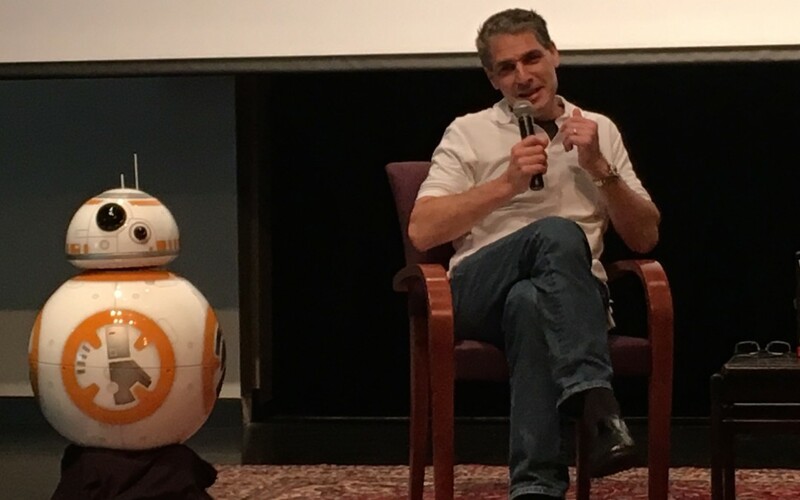 During the talk, Berbarian noted that BB-8 mechanical prop in the movie was actually based on the Sphero toy, rather than the other way around! Disney was so secretive about BB-8’s character, Sphero didn’t have most of the details about the droid until the Force Awakens trailer came out. Sphero only had some sketches and the puppet stand-ins used in early filming as a basis for the toy. They had to sign all kinds of secrecy contracts and still weren’t given much information on BB-8 until the trailer was released to the world. So they saw BB-8’s onscreen representation at the same time as everyone else! Once the trailer came out, they fleshed out the toy. “Lucas created the character BB-8, a droid with a sphere and a head on top of it that could do cool things. There’s a prop shop out of England called the Creature Factory they made several puppets (for the film)…they didn’t have a fully robotic ball. After the fantastic talk I went up to Berberian and asked him if there was going to be new changes for BB-8 for the next Star Wars film (which as you know is episode VIII). He told me that there will be some new changes to BB-8, but true to the secrecy of the movie, he couldn’t tell us anything yet. So all you fellow Star Wars fans will have to wait and see the new changes when the next Star Wars film comes out. Sphero brought along a full-size BB-8 prop—so of course, I had to do a selfie! The Evolution of the Lightsaber Duel video shows Mark Hamill (famous for The Trickster from The Flash, and voices talents of cartoon characters . . . as well as a small sci-fi movie that opened in 1977) traces the history of Lightsaber duels. He also discusses his own personal history ties to the subject. Since his dad was a captain in the Navy based in Japan, he studied at a high school in Japan for two years and learned about the Japanese culture. I liked the history of the Samurai and how Mark’s life changed when he met George Lucas (the creator of Star Wars). 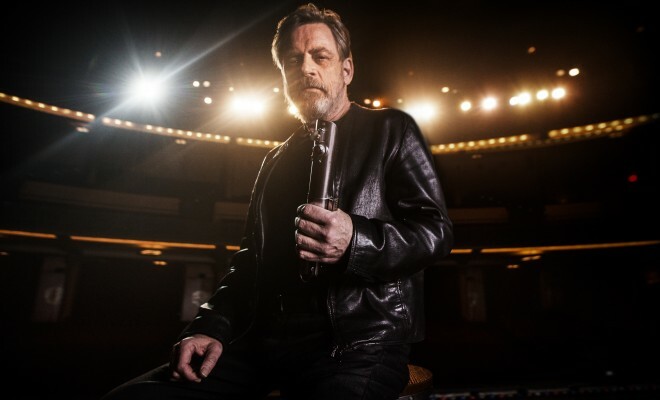 Mark explained that when it was his turn to do a Lightsaber duel, he first had to work out, study martial arts, and learn Kendo for the very first time. Kendo is the Japanese art of fencing with two-handed bamboo swords, originally developed as a safe form of sword training for samurai. The best part of the video was George Lucas explaining how he evolved the Lightsaber duels over time, interviews with the actors, and footage of the actors training to get ready for the fighting scenes. 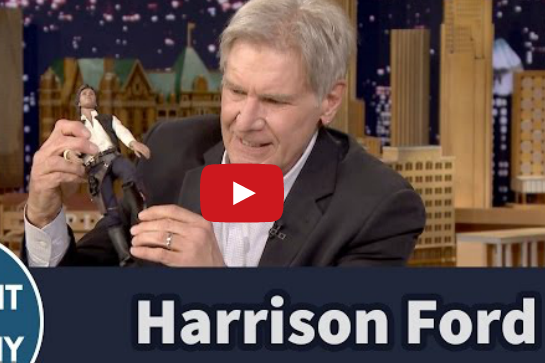 by Ben | Dec 15, 2015 | Interviews, Movie News! One of my favorite moments of the Star Wars Premiere Red Carpet was seeing Josh Gad (famous for playing Olaf the snowman from Frozen and The Wonder Kid in Pixels) talk about how he was such a big Star Wars fan. He explained that when The Phantom Menace came out he stood in line for it and had to skip school during his senior year because he was so blown away by the action. Though after seeing all the prequels he did wonder what was coming next! His interview starts at 20:13. 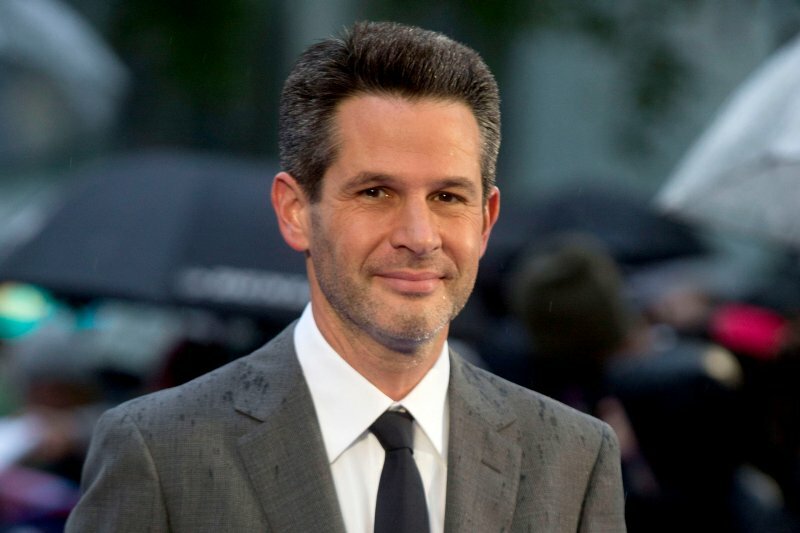 Today EW.com, interviewed writer and producer Simon Kinberg about his role in the The Force Awakens among other movies. In interesting detail, he told EW he was up at the Skywalker Ranch for a week to work on the structures of the next new Star Wars trilogies and spin-offs with Michael Arndt (the writer of the third Toy Story movie), legendary screen writer Lawrence Kasdan . . . and, of course, George Lucus himself. It’s exciting to know that George Lucus is still involved with Star Wars (although someone else is bringing his vision to life for the next Star Wars movies).